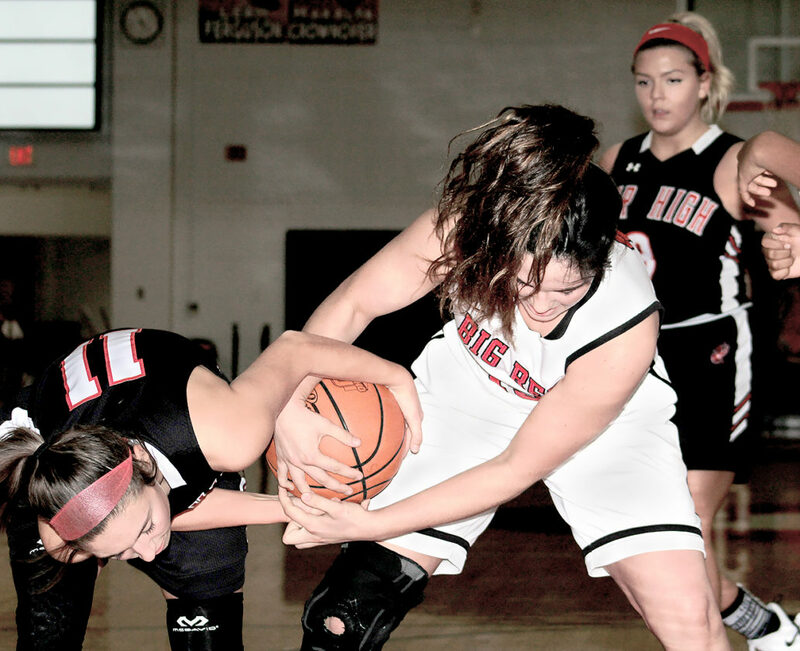 STEUBENVILLE — Big Red girls basketball coach Jeff Lombardo was concerned that his team had trouble finishing in its first two games of the season, both ending in defeat. Thursday night, however, his club out-scored Weir High by five points in the fourth quarter and pocketed its first win of the season, 47-38, inside the Crimson Center. The final nine-point spread was the largest lead by either team in the game, as the girls battled each other on even terms until Big Red opened the fourth quarter with an 8-3 run. The Red Riders closed the gap back to five with 3:23 left, but Lombardo got two field goals from sophomore Makayla Abram in the final 1:33 to put the game away. 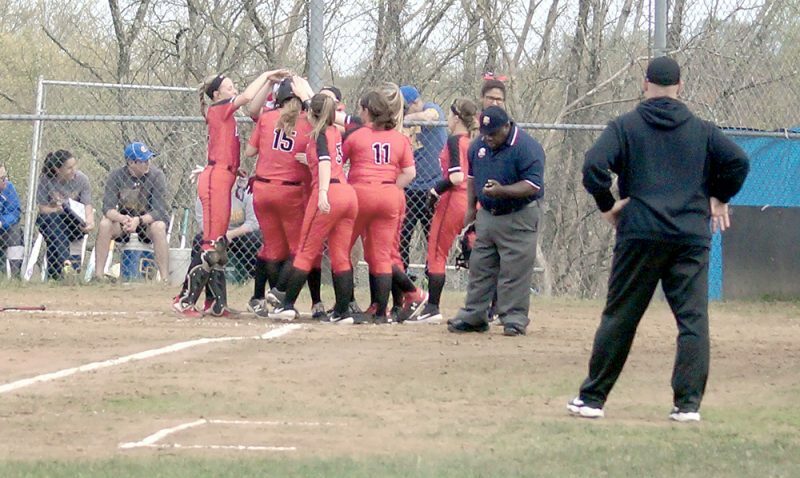 It was the season debut for the Red Riders, and coach Rick Stead felt there were some natural first-game jitters. He also felt his team was a little gassed in the final period and was unable to make a late run. “It’s tough to play a team where it is their third game and our first,” Stead said. “I thought our girls gave a good effort. This is the best we’ve played against a Big Red team in the last several years. I’m proud of what they did, but we made some mistakes in key spots. I tried to sub the girls in an out in the second half, but I think we got tired and got sloppy throwing the ball around. Fields, a junior, and Abram, a sophomore, scored 43 of Big Red’s 47 points. They also captured half of their team’s 24 rebounds. Fields finished with 22 points and five rebounds, while Abram scored 21 with seven caroms. “I know what I’m going to get from Madison every single time,” Lombardo said. “When you get her the ball in the blocks, she’s going to finish. It is just a matter of getting the ball to her in the right spot. She struggled from the free throw line on Monday but, man, she spent a lot of time at the line in practice, and today she was 6 of 8. Weir High never had the lead in the game. After trailing 16-11 in the first quarter, it came back to outscore Big Red, 10-6, in the second and were down by only one at the half (22-21). With Fields nailing a layup and Abram netting a free throw and goal, Big Red opened the second half with a 27-21 lead. Junior Sophia Mikula, who is the leading scorer returning from a year ago, got into some early foul trouble and didn’t score in the first half. She drained a jumper to stop the Big Red run, though, and senior Trezur Elmore-Sartor got a neat pass from senior Julia Gianni and turned it into a field goal to suddenly bring the Red Riders back to within two points at 27-25. Big Red went on to lead 33-29 going into the fourth period when Fields scored six points and Abram tallied eight, which were all of Big Red’s points, to get the win. The Red Riders had a balanced scoring attack, with senior Gia Fuscardo leading the way with nine points. Mikula and Julia Gianni each scored eight, and sophomore Isabella Aperfine checked in with seven. Both teams return to the hardwood Monday. Big Red is home hosting Harrison Central, while the Red Riders stay on the road to play at Hancock County rival Oak Glen. ¯ The Big Red reserves had little trouble in the preliminary game, scoring a 47-8 win over their Weir High counterparts. Samaria Blackwell and Myla Fleming each scored 10 points for Big Red, while Marissa Howard led Weir with four. ¯ Weir High was twice scheduled to host East Fairmont before it was postponed both times. It was first scheduled for last Friday and then moved to Wednesday. The third date for the game is still yet to be determined. WEIR HIGH (0-1): Mikula 4 0-0 8, Fuscardo 4 1-2 9, Bernola 1 0-0 2, Aperfine 3 1-2 7, Gianni 3 2-3 8, Nutter 0 0-0 0, Vuiller 1 0-0 2, Elmore 1 0-0 2. TOTALS: 16, 4-7: 38. REBOUNDS: 21 (Aperfine, Elmore 5 each); TURNOVERS: 23. BIG RED (1-2): Gulan 0 0-0 0, Taylor 0 0-0 0, Marshall 1 0-0 2, Ferguson 0 0-2 0, Fields 8 6-8 22, Crownover 1 0-0 2, Abram 9 3-4 21. TOTALS: 19, 9-14: 47. REBOUNDS: 24 (Abram 7); TURNOVERS: 16.